Anyone who has ever sung in a chamber choir will know the pleasure it brings and Sterndale Singers is no exception. 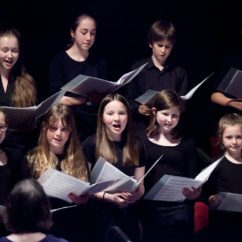 We sing a wide range of music from across the centuries, covering many styles and several languages. Much of the music is 'a cappella', but we also join with other musicians and soloists to accompany us where appropriate. Whatever we choose to sing, we aim for a high standard which provides enjoyment for the singers and audience alike. We audition prospective members to ensure their voices will blend with the choir and we ask for a decent level of sight singing ability. 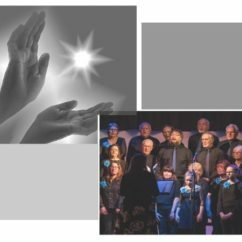 The choir is conducted by professional choral conductor and musician Robert Webb, with additional vocal coaching provided by David Watkin-Holmes. Choir members are an eclectic mix, aged from twenty-something to sixty-something (we don’t ask! ), from varied backgrounds and who all share a common enthusiasm for music. 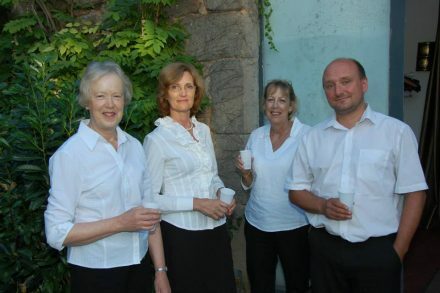 As well as undertaking concerts and choral engagements in Sheffield and the local region, the choir also enjoys choir tours to France and other European countries from time to time. We rehearse at St Mark's Church, Broomfield Road, Broomhill, Sheffield on Monday evenings from 7.45 to 10.00pm. We currently have some vacancies, so do contact us if you are interested.